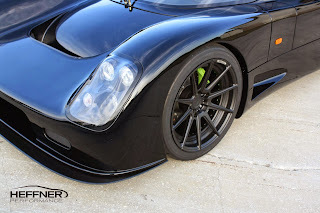 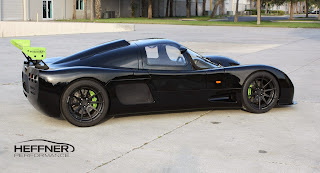 The Ultima GTR is a British supercar that weights less than a ton (990 kilograms) and is powered by a 640 Hp. 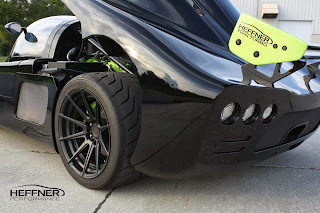 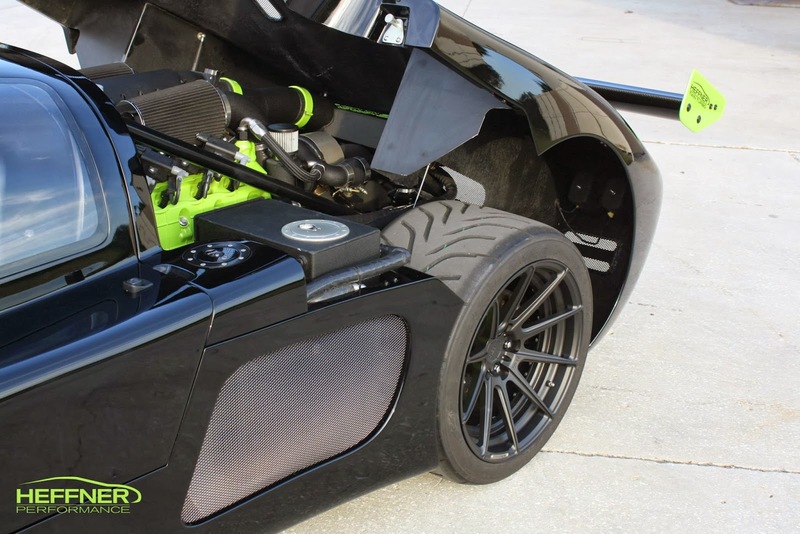 Florida based tuner Heffner Performance decided to make it even more extreme by putting the V8 from the Ford gt in it and adding two turbos. 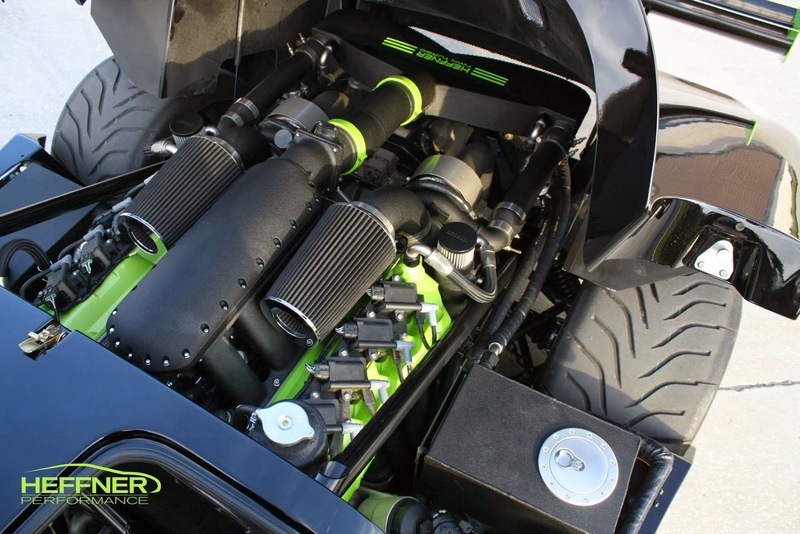 The result is a black on black 850 Hp beast. You can see it in motion in the video after the jump and you can find more pictures of it in the gallery below.